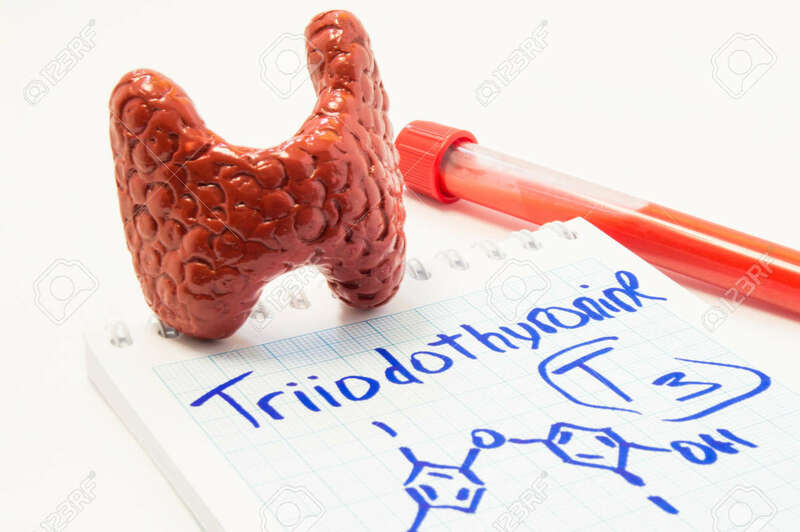 Thyroid Gland Hormone Triiodothyronine. Model Of Thyroid, Laboratory Test Tube With Blood And Notebook Inscribed With Triiodothyronine T3 With It Chemical Formula. Concept For Hormonal Thyroid Disease Royalty Free Stok Fotoğraf, Resimler, Görseller Ve Stok Fotoğrafçılık. Image 73017288.